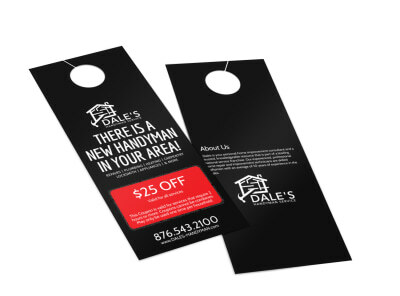 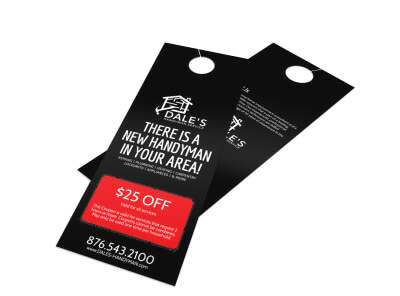 Market your services to an entire neighborhood with an eye towards affordability with door hangers that you design yourself. Using our house and home door hanger templates, you can quickly create a design that really drives your message home, whether you're running a flooring special, launching a new handyman business, or adding after-hours plumbing to your service lineup. 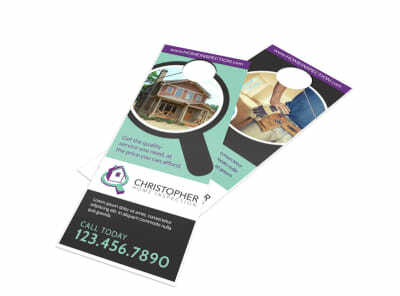 With our online editor, you can quickly upload photos and images, alter and manipulate text and other elements, and tweak your design to make it its very best. 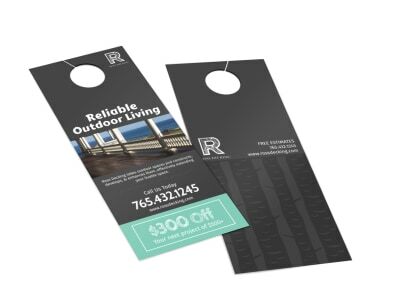 Print your door hangers for instant access to these popular marketing materials, or let us do the work for you with our expert printing services. 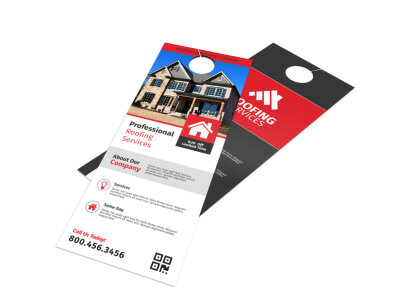 Homeowners benefit from having a go-to list of professional tradespeople to call when experiencing a home repair-related problem - plumbers, electricians, furnace repair technicians. Add your name to their speed dial by customizing a roofing door hanger and distributing it throughout your community. 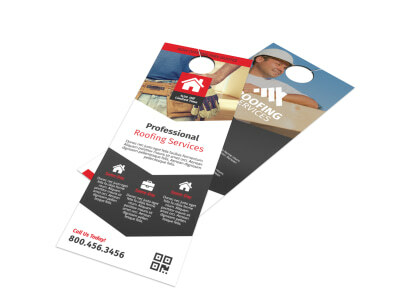 Emphasize your ability to work with insurance companies when repairing hail damage and replacing shingles blown off by the fury of straight-line winds. 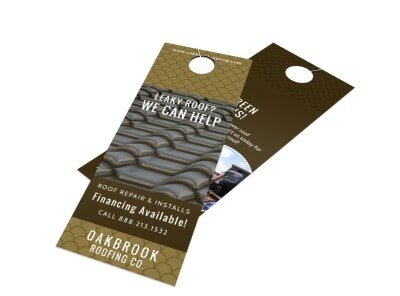 Let them know that you are available for all roofing repairs (not just storm damage) – replacing aging shingles, putting up new sheeting, fixing animal or tree damage. With our easy-to-use online editor, you’ll soon have a full dance card of repair projects to keep you busy! 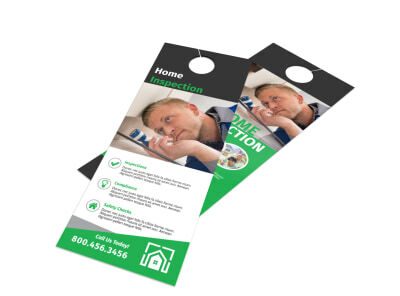 When scary spiders scurry and creepy bed bugs lurk, let prospective customers know they’re not alone in the battle to regain control of their homes with custom pest control door hangers hung on every door in your local target market. 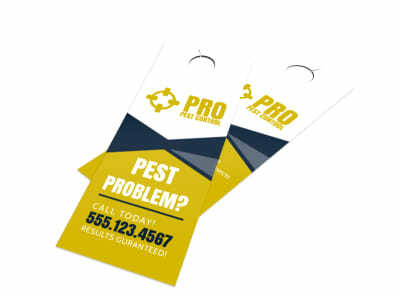 Our homes are our sanctuaries, and eradicating pests is a necessary evil. Position yourself as an area niche authority with professional-looking door hangers that detail the services you offer, pest problems you handle, your rates, and any specials you’re running along with your contact details to make it easy to reach out or set up an appointment. 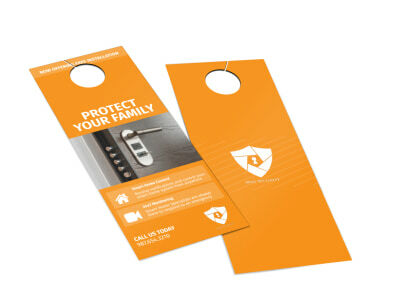 Design an attention-commanding pest control door hanger now! 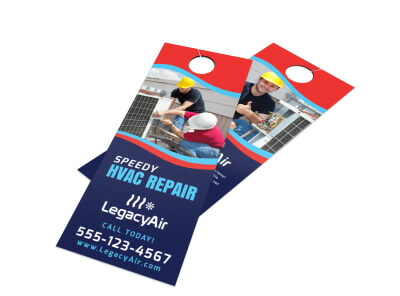 As a licensed HVAC contractor, you have a responsibility to educate your community on why it is so important to invest in the appropriate heating, ventilation, and air conditioning system for their home. 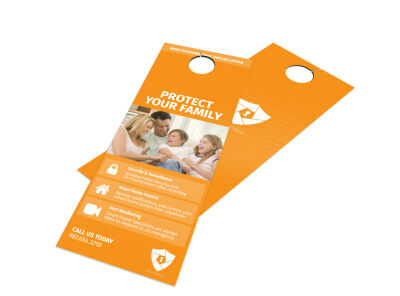 Help them navigate your world by designing and personalizing an HVAC door hanger that answers the questions, “Do I have the right HVAC system for my home?” and “How do I hire the right HVAC contractor?” Use your expertise to point out the questions homeowners should ask of any potential HVAC companies before they sign on the dotted line. Utilize MyCreativeShop’s graphic design expertise by jumping into our super-simple online editor to turn the knowledge in your head into an informative and educational HVAC door hanger that will keep your neighborhood climate-controlled for years to come! Paint can be a transformative tool. 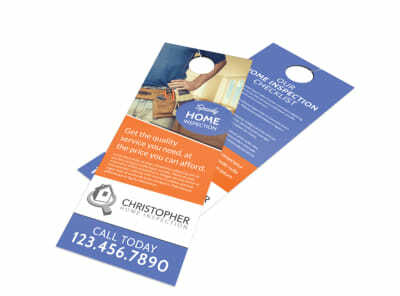 When staging a house to sell, a fresh coat can make potential buyers feel as though they are getting a brand-new home. 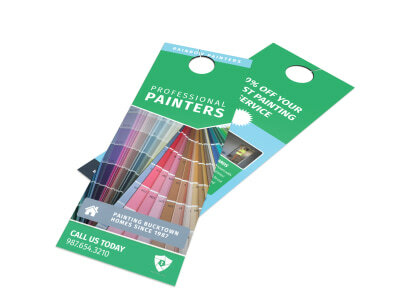 Conversely, for those who are just moving into a newly purchased (but not newly built) home, new paint throughout (before the furniture and family members arrive) can generate that same feeling. 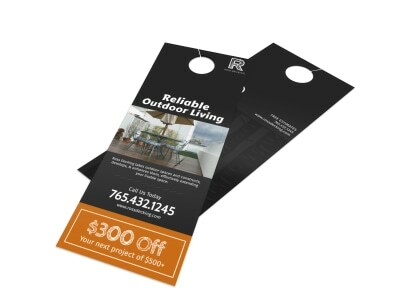 Aside from all that, it can also give existing homeowners in their existing homes a new appreciation for what they already have. 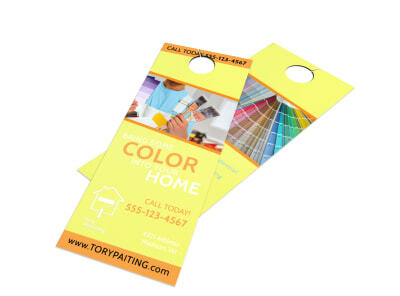 Utilize our online editor to completely customize a painting service door hanger to target each of these three demographics – sellers, buyers, and owners. 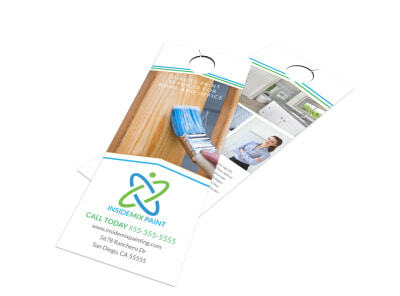 Make sure to include your contact information and a link to an online gallery of your work. 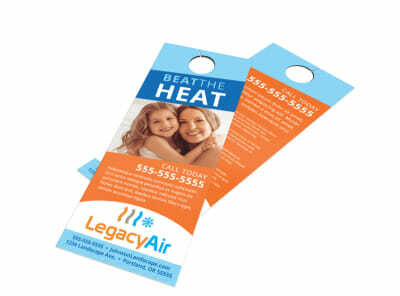 Don’t wait until it’s too late – get rolling (or spraying…or brushing) now!